Published by Jerri Kay at 11:47 pm under Boxes, Bags,Dry Embossing,Occasions,Spellbinders,Stampin' Up! Hi girls, I’m still working behind the scenes on those designs I mentioned last week. I won’t be able to post them until early February, but as soon as they’re finished, I’ll be starting more designs that I can post this month. A quick reminder that Thursday at 9:00 p.m. I’m closing the blog candy. Be sure to go there to leave one last resolution for an additional chance at winning. I’ll be back Friday morning with the lucky winner. In the interim, I thought I’d post this Couture gift box I made a few years ago. The box is so adorable, a perfect gift for those who appreciate hand made items. It holds six 4″ x 4″ cards. It’s a pretty easy box to make with just a few folds. I don’t have the template, but did get it from Splitcoaststampers. The stamps are Lockhart stamps that I purchased a few years ago. I still love them as much today as I did the day I purchased them, they are so adorable! Kaisercraft Pearls were placed on the box and on the Old Olive grosgrain ribbon. I made the tassel by unraveling the grosgrain ribbon and tying it with gold cord. 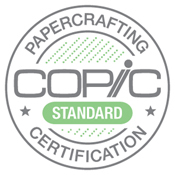 Spellbinders Petite Ovals and Petite Scalloped Ovals large Nestibilities were used throughout, as well as the Classic Ovals Small and Classic Scalloped Ovals Small. I embossed vellum with a Cuttlebug embossing folder (dots), and used a Martha Stewart punch to create the scalloped borders. Kaisercraft pearls were used on the ribbon. The images were stamped with Versamark and sprinkled with a mixture of Ranger gold/gold tinsel embossing powder, then water colored with Tombow markers. I can’t remember which ribbon I used for the bows. I do plan on making these cards again with designers papers. The Stamp Simply Ribbon Store has beautiful 1/2″ wrinkle ribbon that is absolutely perfect for the project, as well as the bow easy for perfect bows. 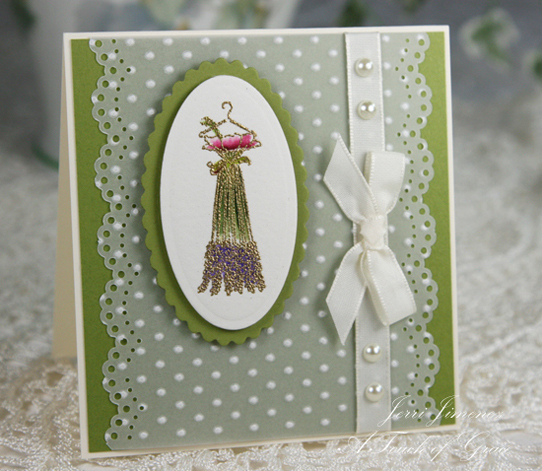 The designs are quick and easy to make up, a perfect gift for a friend that enjoys sending out cards. Thank you for stopping by and be sure to come back tomorrow to see if you’re the lucky winner for all that yummy blog candy! These cards are so elegant and so classy looking and that box is to die for. I do love that set of stamps, so different. I’ve had a look at Splitcoasters resources and can’t see any box that fits your style, but will find something similar as I would love to make a set like this. This set is so Beautiful Jerri! A perfect gift for sure! This set is so beautiful and you do such awesome work! I am not worthy! Thank you for sharing with us! The gift box and card set are all so lovely, Jerri! I love your coloring and those images are wonderful! OMG! Another gorgeous creation. I must try to make something like this and hope it turns out as beautiful as yours. you are a master crafts woman. I love water colors but certainly can’t get mine to look like yours. I love taht green you used. My favorite color. Sure is pretty Jerri. 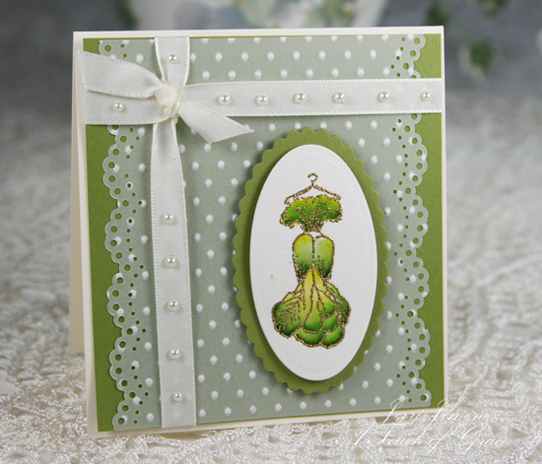 Any one would love to have a beautiful Jucie Veggie Couture Card Box and cards too! 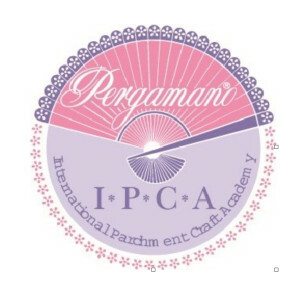 I am going to try to locate the tutorial and add it to my “collection”, it’s just that pretty. 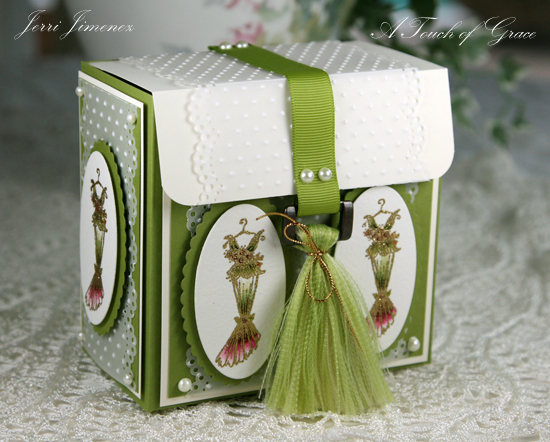 Wouldn’t a box like that make a neat little shower gift with a nice set of cards or anything else in it, it is just so pretty and the color is great and it stands out perfect with the white. These are lovely, Jerri! I love the gold embossed images that really enhance the beautiful coloring! What a lovely gift! This is so pretty, I love the embossed vellum. Thanks so much for sharing your beautiful work with all of us, I really look forward to your posts. I have always been attracted to those Lockhart stamps but now that you have made these beauties I have to go back and look at them again. OH WOW! This is sooo pretty, Jerri….I love, love, love those sweet little dresses with the gold embossing and beautiful coloring!!!! Every little detail is so elegant and perfect….can’t wait to see the surprise you have in store for us!!!! I know it will be fabulous!!! Getting out my stuff I haven’t used in a while ’cause you have stirred up my imagination AGAIN! These cards are so girlie and elegant. I never thought of running vellum through the Cuttlebug but I will now! These are so beautiful I am running to my art room!!! What a gorgeous box and set of cards. If I received these, I couldn’t possibly send them off to someone else because I would want to admire them over and over. Another fabulous project Jerri. 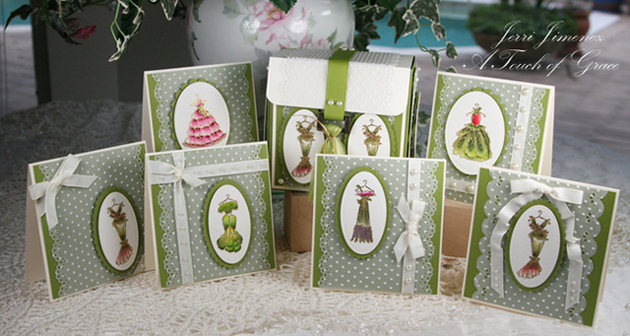 What a beautiful set of cards…I too have not used vellum in the embossing folders…have to try that too! Thanks for sharing! Beautiful!!! They are too pretty to send. Should be framed and hung on the wall to admire. I am working so hard on my New Year’s resolution of getting my work area organized so I will have time to be creative. A glamorous box for these glamorous cards! Thanks for sharing them. This is just stunning! Gorgeous box and gorgeous cards. Once again nothing but beauty from you. Amazing. Your artwork is so beautiful ! I just can’t imagine how you think of all the unusual ways to use your stamps and tools. Thank you for sharing your talent. I will never make anything even halfway as pretty as the things you do, but, I certainly love to look at your creations in absolute amazement. Oh how beautiful. Your work is always so very elegant, and I enjoy seeing your blog jump into my subscriptions because I know I’m in for a delight. Very beautiful kit! i love it…Amazing colors and the vellum give’s a beautiful and feminine touch. thanks for sharing. OH!! What a gorgeous gift! The box and cards are so feminine and pretty. I love all the lace. And who knew you could make a tassel out of grosgrain ribbon? ? ? Brilliant!!! This is just a wonderful project. What a gorgeous set Jerri! Love the embossed vellum and your colouring and detail are unmatched! Wowzer! Jeri these cards and that box are truly works of art. I am just in awe of your abilities and the work you produce. Thank you for sharing. This is an amazingly gorgeous set, Jerri!! Everything so beautifully colored, and so feminine and pretty!! These cards and the box are just beautiful! What an amazing talet you have and thank you for sharing it. Hey jerri, I went to splitcoast to look for the box to get the measurements. I couldn’t find anything that looks like this box. Can you tell me what it is called? Or what colors were used in the original? Or even who the artist was? I’m full of questions today! Jerri, the box and cards are exquisite. The attention to detail just blows me away! These pieces are truly pieces of art. Fabulous work and a great idea. Love them all. Such beautiful work. I so enjoy seeing what you have created. So adorable. such beautiful work. great creations. tfs. Wow! Your box and cards are gorgeous! Love the style. 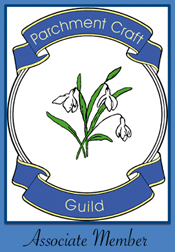 My New Years resolution was to start a blog, which I have done. Just barely! Have lots of work to do yet. Hope you get a chance to come over and visit. Thanks. Hi there Jerri!!! I have missed you…only because I have been so busy with my work (job) routine. How beautiful these cards are and the added box is a plus! As always, I swear I am your bestest fan! You give me so much inspiration, now…if I only had the time…lol…Have a great weekend my friend!! another gorgeous creation jerri, its not another resolution – but its a challenge i have set myself this year to try and make several of this sort of thing to send and give to people as gifts. Golly..those are so cute. I’ve seen those herb and veggies stamps before..love them! One last resolution…hmmm I gave a whole list.. How bout, —use some stamps that have never been used!!! I’m sure we all have some of them! Thanks for such beautiful projects Jeri!! Beautiful! But then I have never seen anything you have made that isn’t beautiful. so pretty, I just love the embossing on vellum and the gold embossing and such pretty coloring. Love the way you added pearls to the ribbon, neat touch! Your cards are all so pretty. 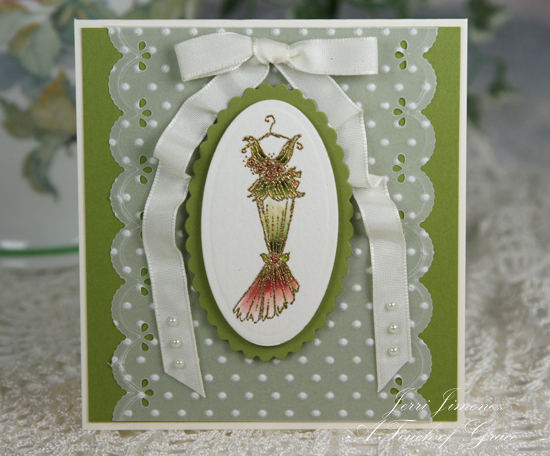 The embossed images with their pretty colours are so feminine and whimsical. 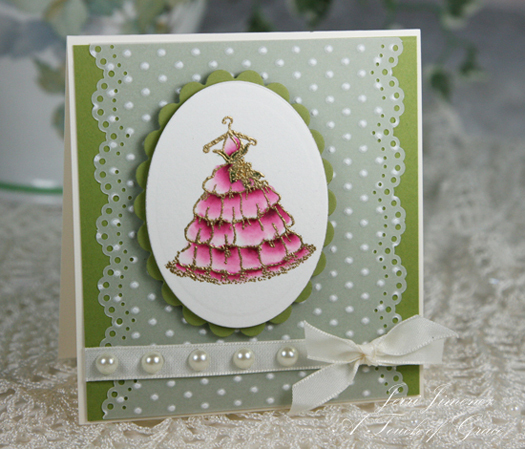 Love your paper choices and embellishments to finish your creations. Wowsers Jerri!! Your box is exquisite as is all your gorgeous cards!! What a stunning gift set!! What a gorgeous set Jerri! These are so sweet…what a special group! 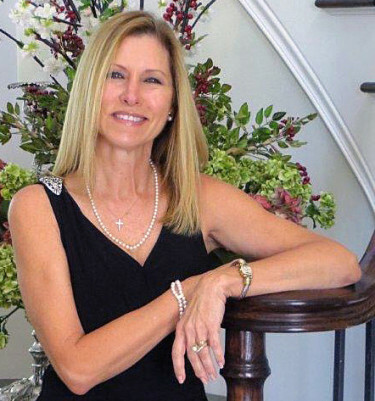 I especially love the Dotted Swiss accents along with your gorgeous painting! 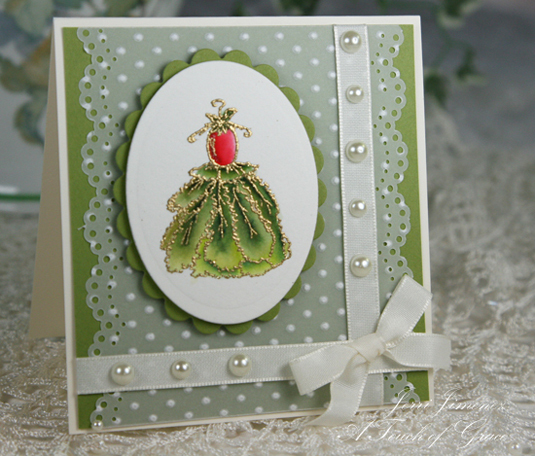 I love these couture stamps and how you colored them…..your coloring never ceases to amaze me. Fantasic box! An AMAZING boxed set of gorgeous goin’ on here, Jerri. WOW!! Absolutely exquisite. So beautiful, Jerri! Opening that box would be like lifting the lid on a treasure chest. I really can’t get over the box, especially. And the frayed ribbon tassel. Pure eye candy! I just like to ask can did you used recycled materials? can be considered the best way to share presents, with your family or relatives. and can i ask what is the meaning of Juicy veggie? This box and set of matching cards is so beautiful, just like everything else you do. Who wouldn’t want to receive this lovely gift! Oh My! Such lovely, lovely work!! 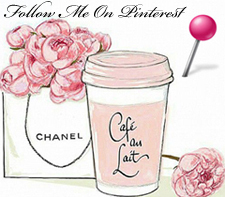 Someone share a link to your site on another mb so thought I’d visit-sooo glad I did! The Lord has definitely blessed you with a wonderful talent. Glad to meet another Floridian:) I was raised in Sarasota, just a little south of you-although my dad was in the Air Force & we moved a lot, Sarasota was home.